Between 1970 and 1973, Anant Negandhi held a series of conferences at Kent State University, sponsored by the Comparative Administration Research Institute. Kent State was then a leading business school in the fields of international business, management, and marketing. Negandhi thought that this emerging field would benefit from the contributions of young scholars in various social science fields, such as sociology. The conference focus was on “the various conceptual problems encountered in studying the functioning of complex social organizations.” Negandhi started a journal that published the papers presented at his conferences, but it lasted only 5 issues. I took part in several of these, including one that led to the publication of a book on Interorganizational Theory, edited by Negandhi. These conferences attracted a stellar cast of organization scholars, including Richard Hall, Don Hellriegel, David Hickson, Hans Penning, Jeff Pfeffer, Lou Pondy, Jon Slocum, Andy Van de Ven, and Donald Warren. Looking back, I’m astonished that he was able to attract this group to a regional state university in the Northeastern corner of Ohio. Up to that point, Kent State was known primarily for the infamous killings of four students by the Ohio National Guard during a peaceful protest against the Cambodian invasion. Indeed, memories of that tragedy were still in my mind when I contemplated whether to accept Negandhi’s invitation to attend the conferences. 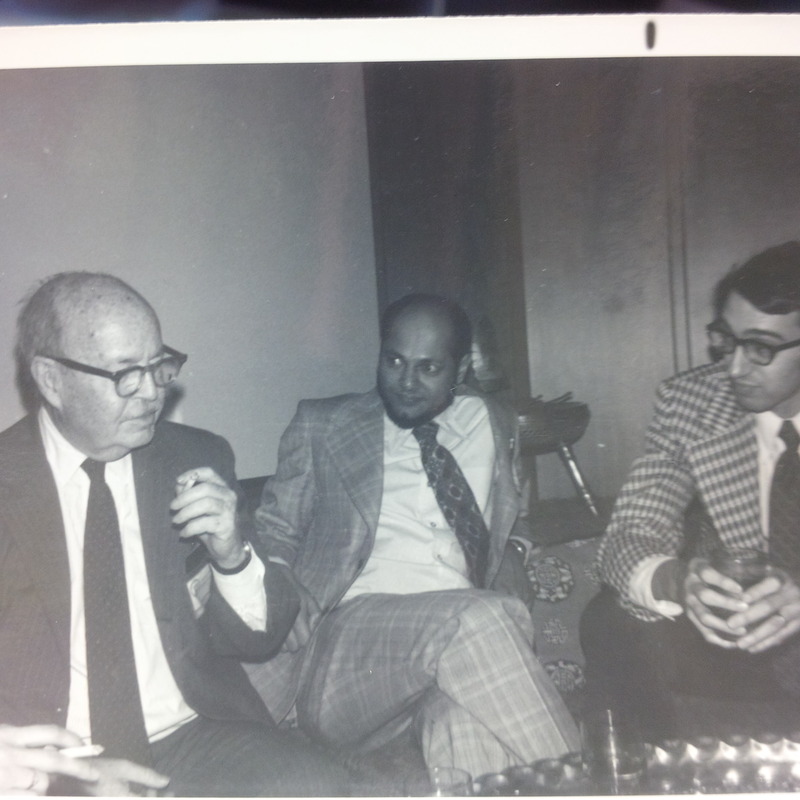 In addition to people known for their contributions to organizational studies, Negandhi invited Talcott Parsons to the conference because of Parsons’ interest in institutional theory and organizations. In 1956, Parsons published two lead-off articles in two successive issues of the Administrative Science Quarterly, laying out what he called “suggestions for a sociological approach to the theory of organizations.” In our book, Organizations Evolving, Martin Ruef and I gave Parsons a great deal of credit for offering one of the first systematic presentations of a multilevel theory of organizations’ relations with their environments. He anticipated many of the themes that institutional theorists of organizations “rediscovered” many years later and his essays are still worth reading today. Parsons’ chain-smoking is probably what I remember best about that evening. Memories of his habit are confirmed in an interview Parsons did with Robert Reinhold for the ASA Newsletter around the time of his retirement, when he was asked about his role in American sociology and the bridge he provided to European sociologist. In reply to a question, he said “it happened to be my particular role, as it were, to act as an importer,” and Reinhold then noted that Parsons said this as he lit up the first of six cigarettes consumed down to the filter in the course of a one hour interview. ASA Footnotes, August 1973.